One of the most influential people in horror is now gone. 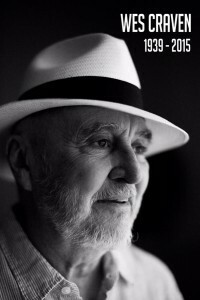 Director and writer Wes Craven died on August 30, 2015 from brain cancer. The genesis of many a sleepless night, Craven was the man behind the original Nightmare on Elm Street and the Scream series. Greetings ghouls and ghosts. It’s time for the final installment of our Halloween horror film reviews for this year. A few years ago I took a look at the final part of what John Carpenter calls his “Apocalypse Trilogy” with In the Mouth of Madness. This year I’m taking a look at the beginning of that series with one of the entrants in the Greatest Science Fiction Film tournament – John Carpenter’s remake of The Thing.